Jamaica as a country has gone through several periods of growth, development and evolution and so has its art industry. The island has a long and complex history, with multiple cultural influences, which are indicative of the potential of its creative sector. Our music and dance culture are known worldwide but the Visual Arts still often struggles to find the same foothold and visibility. Even so there have been developments in the last 10 years for Jamaican art and artists who are based both locally and internationally. It is easy to see how assumptions may be made that song and dance are perhaps the extent of our cultural expression. Jamaica, is after all, a small island economy which is largely dependent upon its thriving tourism industry. Much of the cultural produce that some visitors to the island will ever see has been specially designed to sustain the aura of a visit to a quaint tropical island nation. If we trace a path forward from key developmental moments to the contemporary period however, a more layered understanding of the cultural legacy that artists of today frequently engage with may be highlighted. In fact, despite these various periods of change and contraction, there is currently a buzz and interest in both Jamaican and Caribbean art developing international art centres. 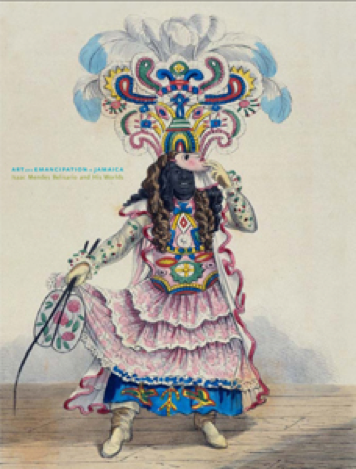 In homes and buildings in Jamaica today among the most popular prints on the walls are Isaac Mendes Belisario’s depictions of the characters from the seasonal masquerade tradition of ‘Jonkonnu’ or ‘John Canoe’ created between 1837-38. Jonkonnu is derived from the West African masquerade traditions of Egun as well as the mimicry of colonial class by the working class of the period. As an artist he helped to concretize and develop the visual records of the culture and customs of his time. Belisario was of Portuguese Jewish origin and had all the technical facility needed to become quite an established artist in the island. The technical adeptness of his prints and skill in painting the landscape and society of the time have allowed great insight into both the ruling groups and the oppressed groups in the society during this period. His means of visually representing workers in extreme minutia in contrast to the expanse of the landscape are not dissimilar from English paintings of that period such as the J.M.W. Turner painting, ‘Hornby Castle from Tatham Church’. Today however the inconsequentiality of the figures of the workers cannot help but remind modern viewers of the extremes in social power and agency between classes and races of the time. Belisario is said to be the first documented Jamaican-born artist and for these and other reasons discussed Belisario’s prints and paintings hold great value as documents of that period in Jamaica’s cultural history. The ethnic composition of the society had changed drastically during the periods of Colonization and The Slave Trade. Amerindians had given way to Spanish and Portuguese settlers and then British and West Africans began to comprise most of the makeup of the island’s population after slavery ended. The Chinese and East Indians would further add to the diversity of the island in other waves of immigration. In the 20th century, Jamaica like other Caribbean nations began thinking about independence from British rule. In 1962, when independence was achieved it was accompanied by a new desire to establish nationhood through various channels including culture. 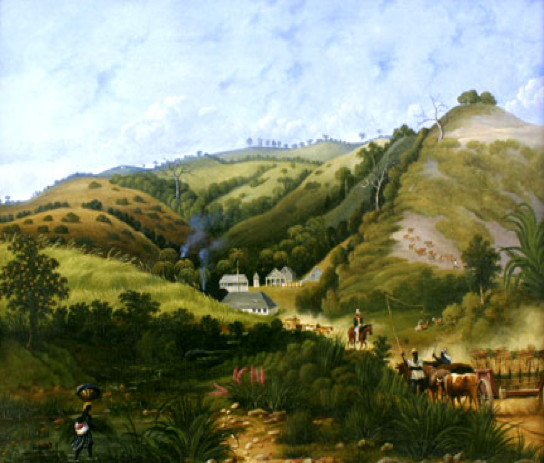 New opportunities for training and scholarship arose for the various classes as attempts were made to gradually integrate the citizens of a new Jamaica. Many of the early leaders in the local art scene were recipients of such scholarship opportunities created for Jamaicans to travel and study overseas and to return with new influences and ideas. They returned with the means and thoughtfulness with which to engage with the West in a more modern sense. Expatriate artists from Europe and the Americas also came to Jamaica to make use of the opportunities and assist in shaping this newly awakened country. The British-born sculptor, Edna Manley for example, moved to Jamaica when she married one of the forefathers of the Jamaican Independence movement, Norman Manley. In her search to represent the people of Jamaica she also introduced Modern art-making ideas to individual artists through her teaching and art practice. Albert Huie is one such painter who comes to mind and who also went on to study further overseas in the 1940s. He painted workers in the fields and market people as they had never been painted before. They became integral focal points in his landscapes and didn’t remain as mere pinpoints lost amongst the mass of the lush landscape as Belisario had done. In his genre paintings he represented groups of men and women at their daily work in their own environments. Barrington Watson, one of Jamaica’s foremost academic painters also studied overseas at The Royal College of Art in London in the 1950s. His paintings went further in the direction of portraying the black Jamaican as a legitimate subject in his paintings where they were featured in larger proportions in the compositions. 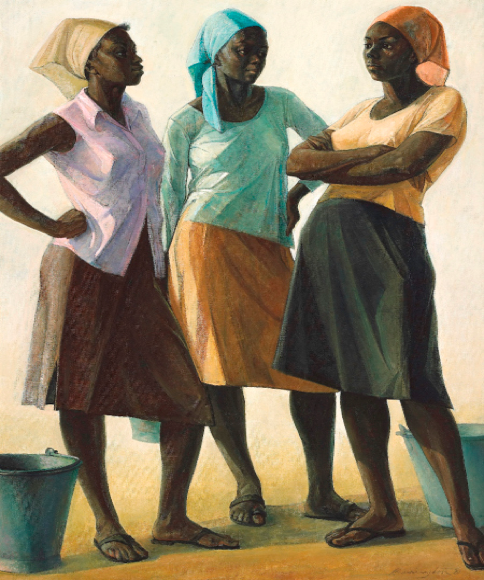 While being influenced by European art, Watson also rewrote some of those European narratives by inserting coloured bodies which reflected his observations about the intimate social lives of Jamaicans of varying classes. Another set of artists were able to engage with the excitement of Modern Art and Abstract Expressionist developments in New York and London. Artists who had been to, and lived in, these cities when these movements were in their heyday also came back to Jamaica with new influences and ideas. Artists such as Fitz Harrack and David Boxer made work which veered towards the creation of abstracted realities which provoked thought about Caribbean history and culture. 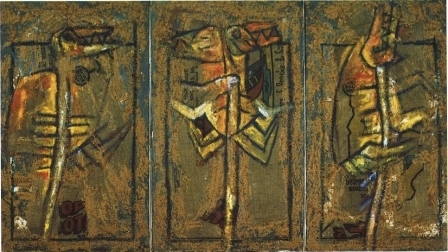 Other Jamaican artists both at home and overseas integrated the influences of Modern artists overseas with regional subject matter to create a brand of Caribbean abstraction. The Modernist interest in exploring the materiality of paint and finding new means of applying it to a canvas is evident in the work of Milton Harley, Karl Parboosingh, Hope Brooks and Eugene Hyde even as they explored the holdovers of Colonialism and their context in Jamaica. Education in Art developed from evening classes offered by a small group of local artists to later formalisation by The State as The Edna Manley College of the Visual & Performing Arts. Graduates of the programme and others who had undertaken art study overseas were now thinking about what national art could look like. The Jamaican art scene has at times received criticism of the nationalist agenda in its art and its arts & culture institutions. 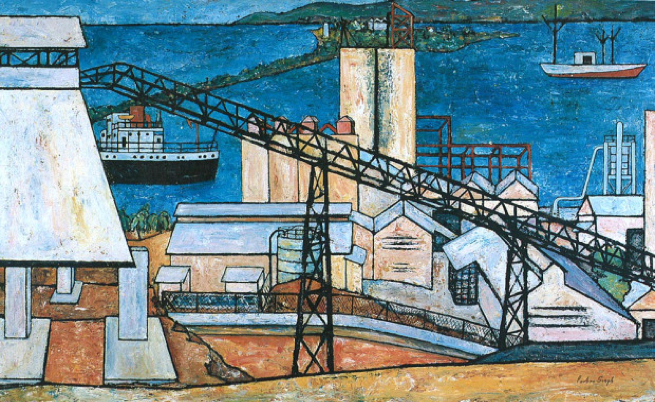 For many artists who were active between the 60’s and 80’s however, rewriting the narrative of colonization and eroded cultures and identities in their art was a major way of reasserting the potential and the possibilities of the peoples of the island away from its history of servitude and exploitation. It was a way of equalising and showcasing the mélange of cultures which had shaped the society. Artists of the period were busy in the exercise of giving serious thought to what it meant to be an artist in Jamaica and the Caribbean. This wave of regenerative thought was part of a Caribbean-wide renaissance of new thought and reflection by writers, philosophers, artists, musicians, policy makers and politicians. 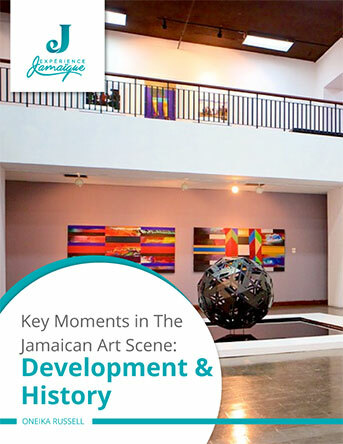 The National Gallery of Jamaica as a newly formed institution began to assert possibilities for authentic Jamaican art forms. Groups of self-taught artists from around the island were exhibited under the label of ‘Intuitive’. Intuitive Art was akin to what in other cultures would be called Outsider Art. The Intuitives were presented as the keepers of authentic Jamaican visual expression. This move facilitated an alternative narrative within the growing Jamaican Art story where room was made for artists who were self-taught and were also mainly making working in their communities away from the art scene. Intuitive Art enjoyed a particular status in Jamaica at the heart of the art market during the 70’s to early 2000’s and proved sure-fire favourites with collectors of Jamaican Art. Artists such as Kapo, Everald Brown and John Dunkley have enjoyed ongoing popularity. This is not dissimilar to the mystical and naive art of Haiti and its profound effect on niche collectors in the international art market. Intuitive Art as well as trained artists whose work was exhibited by The National Gallery during that period also proved to be favourites with local collectors. 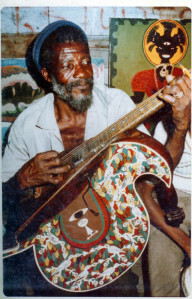 George Rodney, David Pottinger, Seya Parboosingh, Milton George and Samere Tansley are examples of artists who enjoyed popularity in national and private collections. The opening of the region and connections being made between the Caribbean islands as well as the influx of Pan-Africanist thought did not escape artists. The alignment with African Art and culture and the coupled resistance and integration of Modern Western Art ideas became evident in the work of Stanford Watson, Omari Ra and Petrona Morrison. They emerged along with many other artists coming out of the bubbling atmosphere of deeper thought and inquiry. The new subject matter of the art varied from reflections on the state of affairs in the now independent and struggling nation state; challenging pervasive social ideas which were holdovers from colonial era Jamaica; and reconnecting with the art traditions and aesthetics of the African continent as well as reclaiming personal histories through materials. New public art and monuments helped to reaffirm shared histories and memorialise key figures in national culture. 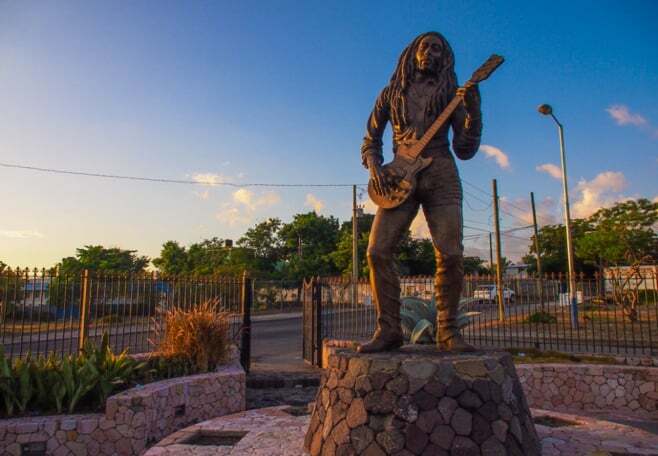 A selection of Jamaican artists has been involved in memorialising cultural icons such as Bob Marley, Marcus Garvey and Usain Bolt. Alvin Marriott, Christopher Gonzales, Fitz Harrack, Laura Facey, Raymond Watson, Basil Watson and Stefan Clarke have made major public art pieces which have helped the growing nation symbolise its status and shape its national narrative. Their work has helped cities and institutions define symbolic landmarks and signify a dedication to celebrate this modern moment in our history as well as to build new appreciation for the arts amongst its people. By the mid-90s to 2000s The Edna Manley College of the Visual & Performing Arts had helped form a new generation of artists who were pursuing art careers internationally. 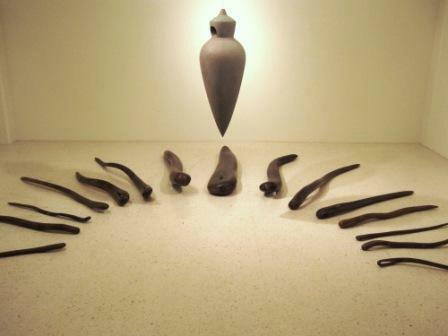 Major annual exhibitions were inaugurated which encouraged contemporary art practices such as The National Gallery’s Annual National Exhibition and The Mutual Gallery’s Super Plus Under 40 Artist of the Year competition. These larger exhibitions were modelled on similar ones in larger cities such as The Turner Prize in London. Several commercial art spaces were active during this period both in the capital city of Kingston and in other cities. The prizes and subsequent exhibitions helped encourage many of the new faces in the art world. Given this taste of contemporary art stardom, many of these early participants were to move on to sustained art careers. These activities also encouraged new collectors to emerge on the scene. The local art scene has gone through various changes since 2010. The global recession hit the art world even harder than other areas of the economy as the Arts are always the first to experience limited resources in difficult times. The Mutual Gallery in Jamaica closed in 2014 and subsequently other previously active commercial galleries such as Bolivar Gallery and Revolution Gallery. Other art initiatives that had sprung up such as Roktowa in Downtown Kingston also closed. In proving the resourcefulness and the continuing evolution of the local art scene since then, new initiatives started by artists and new art communities began to emerge. NLS Kingston opened its micro gallery and residency programme aimed at building new connections for artists internationally. PAINT Jamaica’s mural project in a depressed neighbourhood in Downtown Kingston encouraged new graduates of The Edna Manley College and other mural artists working at that time to create public art that had social reach. The site has since become a landmark in Kingston and several of those artists such as Matthew McCarthy, Esther Beckford and Taj Francis have moved on to fruitful commercial and fine art careers. The National Gallery of Jamaica’s Biennial began focusing on promoting the edgiest and most seductive work being made by contemporary artists of Jamaican heritage. This type of affirmation by a national institution of individuals from the art scene helped to concretise and further bring to light the work of artists such as Ebony G Patterson, Leasho Johnson, Charles Campbell, Marlon James and Marvin Bartley on an international and regional scale. Less traditionally-recognised art media such as photography, video and digital prints also appeared more in exhibitions. The artists concerned were involved in moving past nationalist statements and engaged in rethinking media, the boundaries of disciplines, but also engaging with current affairs and opening dialogue with international art scenes through their work. The diaspora of Jamaican and Caribbean artists participating in Biennials helped to expose the local art audiences to new themes, ideas and approaches to art. Local artists who had been abroad to study returned with expanded ideas about art making. It is now not uncommon for media art, performance, activist art, and installation to be seen in exhibitions equally as much as traditional art forms. While Painting certainly keeps its stronghold the content of paintings has also certainly developed in new directions. Contemporary painters are reflecting on the culture of Black Art, making political statements about identity, commenting on contemporary realities, questioning pop culture and so on. The work of Phillip Thomas, Kimani Beckford and Alicia Brown attest to how artists are still as activated and involved in contemporary subject matter as artists of earlier generations were. 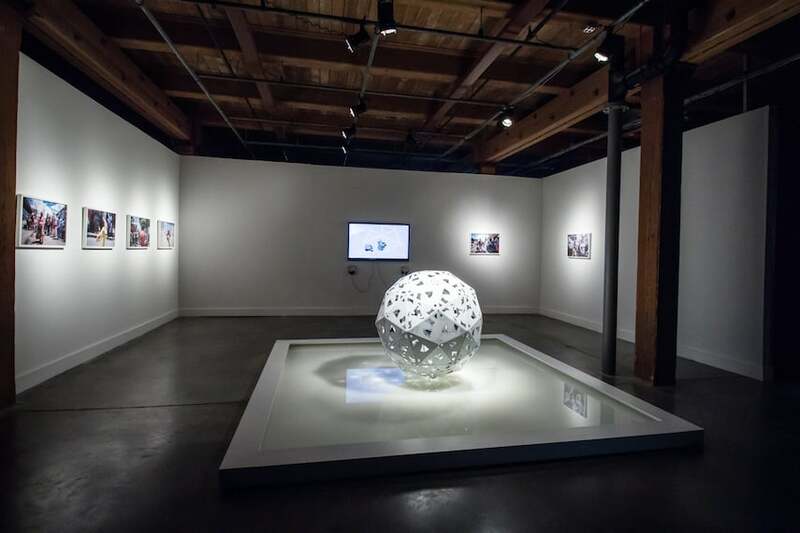 This flurry of independently initiated activity has also attracted the attention of international curators who have featured contemporary Jamaican art in major exhibitions in New Orleans, Brooklyn, Bristol, London, Connecticut, Oslo and Mississauga. Like the history of our country, the history of our Art and its development is much more nuanced than is perhaps first assumed. Jamaica, like many other countries with a diverse culture, holds a burgeoning set of mainstream art cultures and art sub-cultures simultaneously. The Experience Jamaique Gallery is a representative of this. Alongside publicly known and nationally exhibited artists like Laura Facey, are contemporaries who are emerging in the national art spaces such as Di-Andre Caprice Davis, Katrina Coombs and Richard Nattoo. There are also self-taught artists who work in a more individual space such as Kitwana Seitu. On the scene as well are artists whose names have been staples in national exhibitions as well as commercial spaces for over twenty years in the country such as Franz Marzouca, Bernard Stanley Hoyes, Stafford Schleiffer and Jeremy Francis. Jamaican art & Caribbean Art in general is on the rise in profile and value. 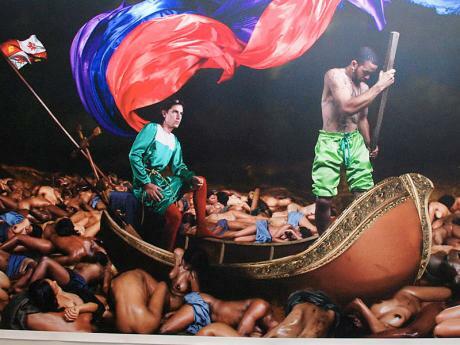 The local art scene benefits from overseas engagement with its creatives. Artists who have committed to critically challenging expectations of Caribbean Art; artists who hold dialogue with Art history; and artists who continually show awareness of issues in Contemporary Art Centres are all present in Jamaica and the Jamaican diaspora. The participation in exhibitions, residencies, and collections both locally and overseas by many of these artists have contributed to developing art careers. Their progressively increasing visibility and critical acclaim will attest to the possibilities that may be found in supporting both our emerging and established artists. Oneika attended The Edna Manley College of the Visual & Performing Arts in Kingston, Jamaica from 1999 to 2003 where she completed a diploma in the Painting Department. She also studied Interactive Media at Goldsmiths College in London under The Centre for Cultural Studies. She completed a PhD in Art at Kyoto Seika University in Kyoto, Japan in 2014, and she received The Commonwealth Arts & Crafts Award in 2007. Russell has completed residencies at Post-Museum in Singapore, NLS in Kingston and Vermont Studio Centre in Vermont. She has exhibited in countries such as Jamaica, Barbados, Trinidad & Tobago, Norway, Japan, US, Canada, UK and Germany. Some of her major exhibitions include Jamaican Pulse at The Royal West of England Academy, UK; The 2017 & 2014 Jamaica Biennial, Kingston; Surface Traces at Yashar Gallery, Brooklyn and the upcoming 2018 DAKAR Biennial, Senegal. Oneika has taught various digital art and fine art courses at the Edna Manley College since 2006. She also wrote and edited ART: Jamaica, a blog about the Jamaican contemporary Art scene between 2006 and 2016 and is now working on a new arts initiative, Tide Rising Art Projects.